The Best Homeschool Podcasts from thousands of Homeschool Podcasts on the web using search and social metrics. Subscribe to these audio podcasts because they are actively working to educate, inspire, and empower their readers with frequent updates and high-quality episodes. 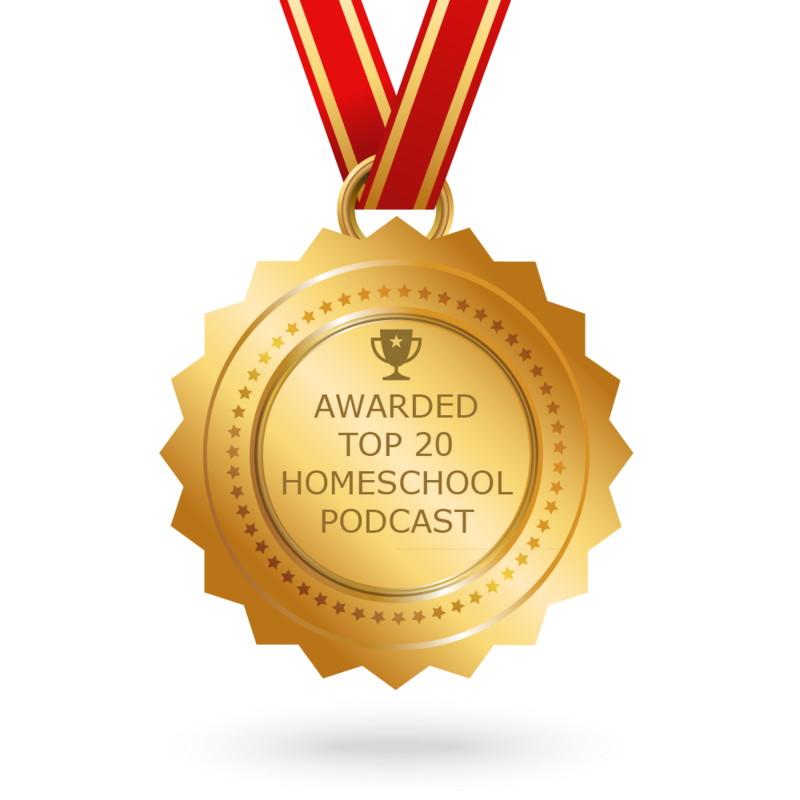 CONGRATULATIONS to every podcaster that has made this Top Homeschool Podcasts list! This is the most comprehensive list of best Homeschool Podcasts on the internet and I’m honoured to have you as part of this! I personally give you a high-five and want to thank you for your contribution to this world. Homeschool Podcast newsletter is a comprehensive summary of the day's most important audio podcasts episodes from the best podcasters on the web, and delivered to your email inbox each morning. To subscribe, simply provide us with your email address. About Podcast Preserving the best of the past with an eye to bless future generations the show offers no excuses, perfection or compromise. Felice hosts this weekly show on Monday at Noon Eastern often with guests. Facebook fans 6,453. Twitter followers 1,374. Facebook fans 53,535. Twitter followers 2,389. About Podcast Abby helps homeschool moms embrace their journey as they find their groove. This podcast will take you from feeling overwhelmed about homeschooling to confident and inspired. About Podcast Cait and Kara are two moms doing this homeschooling thing right beside you. On this podcast, they talk about real life homeschooling, books, caffeine addiction and surviving and thriving through these wonderful years. Facebook fans 6,873. Twitter followers n/a. Facebook fans 1,385. Twitter followers 3,446. United States About Podcast Join each week as they host a special guest and discuss issues relevant to families who are homeschooling students with special educational needs. Facebook fans 1,625. Twitter followers 455. Facebook fans 2,306. Twitter followers 1,743. About Podcast Are you ready for a homeschooling experience you can enjoy? One with less stress and more fun? Are you ready to think differently about homeschool? Join Maren and Angela every Monday as they encourage each other, laugh and get real about homeschool. Facebook fans 738. Twitter followers 10. About Podcast A thoughtful, practical and real discussion on the Christian, classical tradition and how to practice it in our modern Classical homeschools. Facebook fans 1,070. Twitter followers n/a. Roseville, CA About Podcast A series of daily motivational quotes, phrases and strategies from Matt Beaudreau. Matt speaks directly to home-schooling families, motivated teens and parents looking for front-line, research-based tips. Stay tuned and start listening today. Facebook fans 1,960. Twitter followers 916. About Podcast Homeschool Talks is an informative podcast about all things homeschooling. They feature exciting interviews with homeschoolers from all walks of life as well as leaders and influencers in the homeschool movement. Each episode is packed with practical tips, inspiring stories and more. About Podcast The Joyfully Homeschooling podcast is here to encourage and inspire you on your homeschool journey. Through real stories, real struggles and real life. Misty Bailey and her guests share how to embrace imperfection and strive for a more joyful homeschool. Facebook fans n/a. Twitter followers 1,984. About Podcast Providing simple solutions for your homeschool. Pam will help you handle the big things so you can enjoy the little things. About Podcast Honey I'm Homeschooling The Kids is a podcast that steps into alternative education, parenting and living a fun, fuller family life. About Podcast This 30-minute broadcast is dedicated to home-based education. It provides the latest research on topics for working with or ministering to children and teens. The show is designed for multi-generational listening, with a story for kids as well as important information for parents and grandparents. Decatur, AL About Podcast Homeschooling Outside the Box is the podcast that encourages and equips moms who homeschool an outside-the-box child. Join the host, Cindy Rinna as she talks autism, ADHD, dyslexia, Charlotte Mason's philosophy, great books, healing therapies, special needs friendly curriculum and all the ups and downs of homeschooling an outside-the-box child. Facebook fans 366. Twitter followers 117. About Podcast Let's Talk Homeschool is a podcast hosted by Davis and Rachael Carman. They have been homeschooling their seven kids since 1996 Currently five have graduated from their family homeschool and are in college or have already graduated. This adventure of a lifetime called home education has been very good for their family. They believe if there was ever a time to homeschool, it is now!